Last weekend saw the rearranged Thirsk 10-mile race take place. This was rearranged from the end of March when bad weather stopped it taking place. Five members participated in this race. Michelle Jane was first back for the club on 1:11:08, Dave Blewitt followed in 1:14:15, Mark Bainbridge 1:18:23,Sandra Collins 1:26:11, Ian Baronowski 1:32:49. 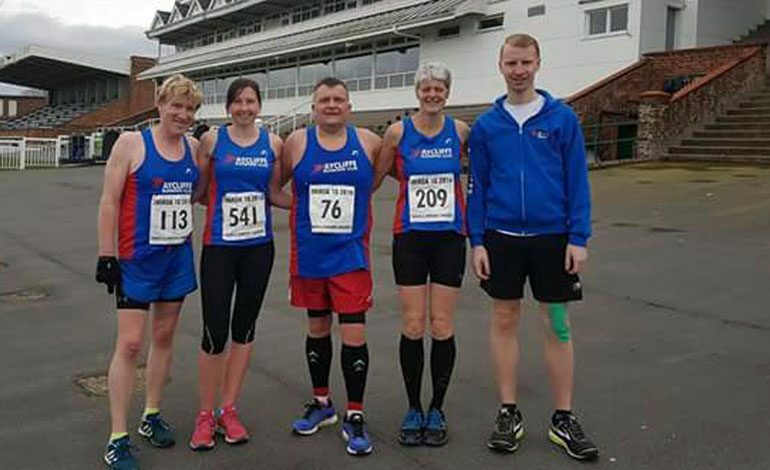 The Druridge Bay Marathon also took place last weekend with one member Wendy Bake taking part. Wendy completed the race in 4:34:31 and was first female over 45!. Last but not least there were also some Parkrun PB’s achieved by some of our members. Julie Nisbet took place in Shildon Parkrun with the parkrun being part of an overall longer run. She achieved a course PB of 25.15. Jan McLuckie achieved a course PB at Darlington in 36.26 and Carrieann Ingledew achieved a course PB at Chester le Street parkrun on 38.45.